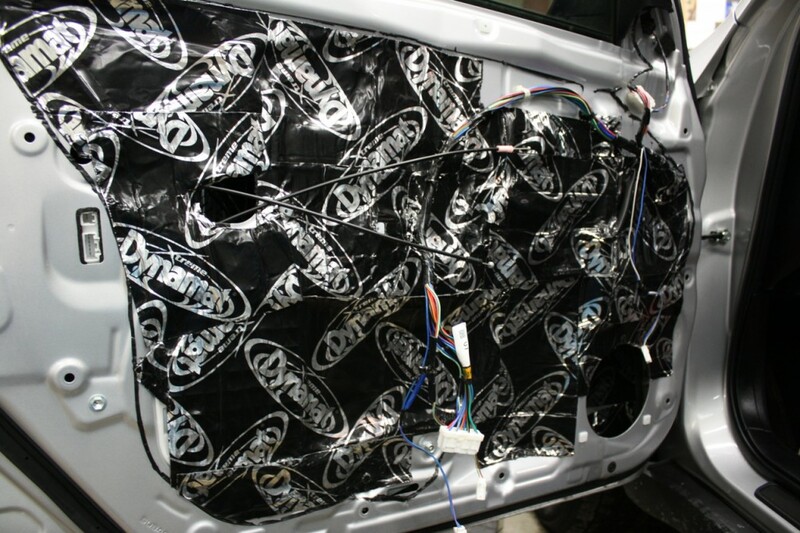 Despite its well known brand name, Dynamat sound deadening material is one of those products that consumers tend to hesitate on purchasing. When I bring up the subject to customers in my own shop, the response I usually get is, “Yeah, I’ve heard of it, but I don’t really know much about it. Do I really need it? What does it do exactly? Is it really worth it?”. Yes – you really need it and yes – it’s really worth it and I’ll explain why. Usually at this point I break out my little Dynamat demonstration. Dynamat does indeed provide rock solid performance. Two brass coins. One treated with a small amount of Dynamat and one without. What does brass have to do with anything? Well, when you remove the door panel in your vehicle, you will see your door is basically composed of a couple sheets of metal welded and riveted together. And your speakers are mounted in that sheet metal. It’s not the most acoustically sound material and in terms of resonance, it’s similar to the brass coins. Check out the short demonstration video below. Think about other types of speaker enclosures you’ve seen. Home audio speakers, desk top speakers, loudspeakers etc. They’re all mounted inside some type of cabinet or enclosure. This enclosure is usually designed to be acoustically sound and it’s usually made of wood or fiberglass or some type of plastic and it’s usually insulated with some type of batting or acoustic enhancing material. Have you ever heard or seen a speaker mounted in a sheet metal enclosure? No. Because it’s not acoustically sound. It’s not the ideal material to make a speaker enclosure with. Yet, that’s exactly what’s inside your vehicle and that’s exactly how your car speakers are mounted. In a tin can. If you’re upgrading your speakers, you should really Dynamat your doors at the same time. Dynamat helps to make it less of a tin can enclosure. It creates a more acoustically friendly environment for your car audio speakers. Not only does it do that, but it also cuts down on road and tire noise, keeping unwanted sounds out of the cabin. How much Dynamat do you really need? At the very least, you should Dynamat your doors and any other area where speakers are mounted. A Dynamat Xtreme Door kit comes with enough Dynamat for two doors. You should always Dynamat the areas where your speakers are mounted. If you have rear deck speakers consider a Dynamat Xtreme Wedgepack to cover the rear shelf area. 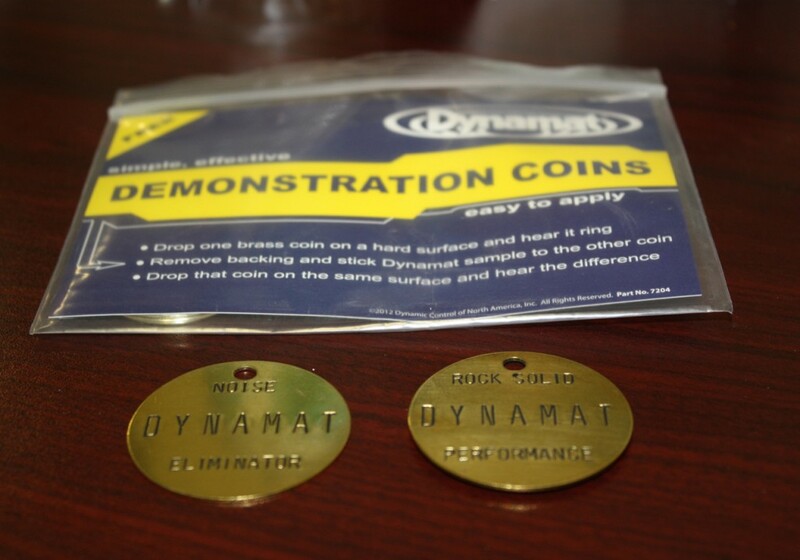 Dynamat makes several different types of materials for various applications. What do you use where? We typically use Dynamat Xtreme on all the sheet metal. To do a full cabin you’ll need a Dynamat Xtreme Mega Bulk Pack (72 square feet) and you’ll need to remove all the door panels, the seats, panels, carpeting and the headliner. Dynamat applied to door panel. Once you’ve applied Dynamat Xtreme on all exposed metal surfaces, you can begin to add some more layers of protective noise reducing and thermally insulating materials to the floor, headliner and hood. 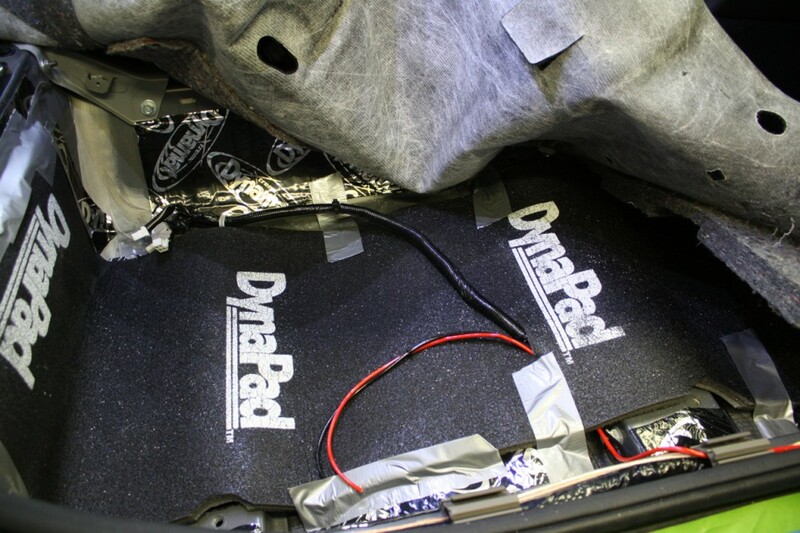 Dynapad – use for the floor and trunk of your vehicle to cut down on road noise. Once you’ve applied Dynamat Xtreme to the floor of your vehicle, you can overlay that with a layer of Dynapad. This stuff is awesome. It’s thick, it’s squishy and it’s surprisingly heavy. This particular layer really helps to cut down on road noise and tire noise. It’s about 3/8″ thick and weighs about 1 lb per square foot. It’s not cheap, but it does make a big difference and if you’ve already taken the seating and flooring out, just go for it and add the Dynapad in there too. Dynapad comes in a roll, 54″ x 32″. To cover the front cabin area, you really need two of these. We typically overlay it from the foot rest/pedal area back. In most sedans, you will need about 4 packages total. Two for the front, one split between the two back seat foot rest areas and one more for the trunk area. Dynaliner – Use it for your headliner to cut down on road noise. Dynaliner is another protective secondary layer that we would apply over Dynamat Xtreme to the roof of a vehicle. Depending on how much room you have to work with, Dynamat offers Dynaliner in several different thicknesses: 1/8″, 1/4″ and 1/2″. For most roof applications 1/4″ or 1/2″ is recommended. It’s surprising how much road noise comes in through the roof of a vehicle, but this material really does help to cut down on a lot of it. I highly recommend it in addition to the Dynamat Xtreme. Without the help of Dynamat, my 2008 Honda Element is the very definition of driving around in a tin can. The Dynamat and Dynaliner cut down tremendously on road noise – especially road noise coming through the roof. I have yet to install it in my 2008 BMW 1 series and I can tell you there is a lot more road noise coming through the roof in that vehicle than in my Honda Element. It’s quite annoying as you can imagine. Dynamat Hoodliner – Use it under your hood to cut down on engine noise in the cabin. This is especially helpful in vehicles with loud engines like diesels. 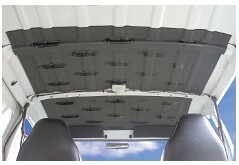 The Dynamat Hoodliner consists of a specially treated acoustic dampening material that is oil and water resistant. It is intended for use in engine compartments and is designed to convert sound waves into heat energy that is then dissipated. Mainly, it really helps to contain engine noise and stop it from reaching the interior cabin of the vehicle. How do you install Dynamat? Dynamat also sells these handy little application rollers which really help to push into place. It is important to clean any dusty or dirty surfaces before applying to insure good adhesion. Is Dynamat worth the investment? Hell yes, it is. If you’re going to invest in quality speakers, amplifiers and subwoofers for your vehicle, why wouldn’t you want to invest in a product that insures you get the best performance possible out of those components? Upgrading a car stereo system without Dynamat is like taking two steps forward and one step back. You’re limiting your stereo from performing at its full potential. Get the most out of your car audio components by installing them in an acoustically sound environment. Install Dynamat Xtreme and you’ll experience less rattles, vibrations, reverberation and distortion. You will hear more of your music, more detail and subtle nuance. It really makes a big difference and I highly recommend it to anyone interested in improving their car stereo system and overall driving experience. Any reason at all to apply two layers of Dynamat? I’ve seen online that some people do that. Your Thoughts? Honestly I’ve never tried that, meaning two layers of the same material. We do often apply the Xtreme and then overlay that with Dynamat or Dynaliner for certain applications, but I can’t recall having ever doubled up on the Dynamat Xtreme. My main problem with my car is the engine noise (yes it’s a diesel ). 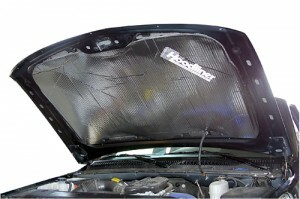 Would hoodliner only under the hood help to reduce engine noise levels, or it needs to be installed also in the firewall inside the engine compartment? To be honest it is rather difficult to reach the firewall, only a few parts of it could be accessible. I guess i should also remove any factory sound deadening material before applying hoodliner, correct? I came across this report while googling for dynamat. However, I’m planning to dynamat my Kia Forte & Honda Accord, I’m only looking forward to minimize road noise, I have nothing to do with amplifiers, and the like. With regards to dynapad, what difference does it make if I installed it? I’m thinking of doubling the dynamat to get the most results. would that be enough not to install the dynapad? We often install dynamat just for quieting the cabin. I would still recommend using the Dynamat extreme on all the sheet metal in the doors, the floor, the roof and trunk. Then I would apply dynapad to the floor, it’s a very heavy thick material and works well on the floor over the dynamat extreme. It really helps to cut down on road noise from the floor of the vehicle. I would recommend using the combination of materials rather than doubling up on layers. And for the ceiling we would use the dynaliner, applying it to the underside of the headliner so it gets kind of sandwiched between the dynamat extreme and the headliner. I hope that helps! Hi Annie, I’ve got an ’08 Element SC, and thinking of tackling this step by step simply to reduce the db levels in the cabin. What’s your thoughts on the value of the various applications highest to lowest(e.g. front doors, back doors, ceiling, hood, firewall, floor…) Do you have any stats on the noise reduction achieved on your E? Thx!!! I can tell you all we’ve had time to do in ours is the doors and the back side walls and I’m still getting a ton of wind/road noise coming through the roof so I HIGHLY recommend taking the headliner down and applying Dynamat Xtreme to the roof and also applying the Dynaliner headliner material to the underside of the headliner or (over side of the headliner, depending on how you look at it). Also, I don’t think we did our A pillars, but I would definitely apply it there too. I love my Element, but damn that thing is a noisy tin can on the open road! I don’t have any stats on my car, but I can tell you over the summer we did a 2013 Audi S4 full interior – doors, floors, headliner using Dynamat Xtreme on doors, floor and ceiling, Dynapad on the floors (but don’t know if could really do that in our car since it’s a plastic/rubber floor) and Dynaliner on the headliner and customer stated he had a 6db drop in road noise traveling at 70 mph with bikes on the roof rack. The stuff works well. 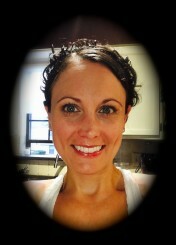 Hi excellent blog- thanks for writing this! Had some questions, anything you can get to answering is appreciated! 1. It looks like *everything* above (dynamat cabin/trunk, 4 dynapad floor sheets, dynaliner, hoodliner) is $1000 or more. 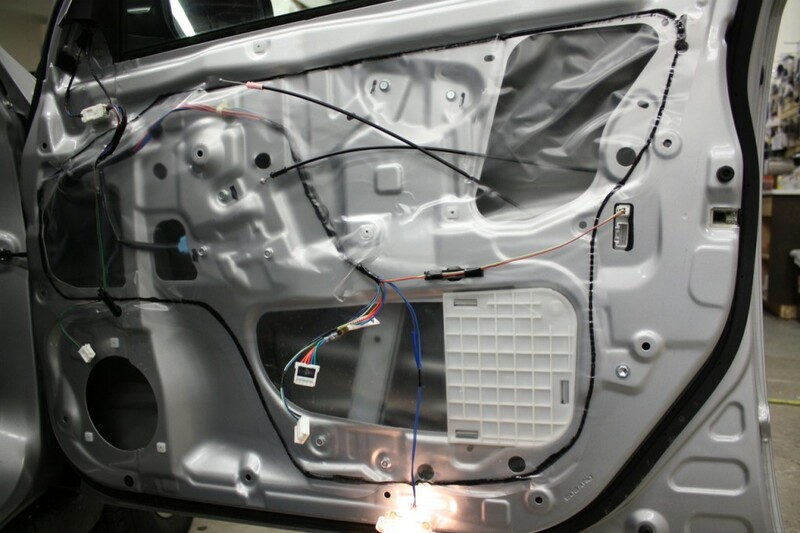 I have a 4 speaker (doors), 1 sub (trunk) gas engine ford focus sedan and I want to get maybe …80% of the way towards ideal/’perfect’ results in getting rid of road noise and any door speaker or trunk subwoofer rattling that muddles my music. …but I wanted to cut back to a budget of maybe $600 – $800, what areas of the car or what materials (dynaliner/dynamat/etc) would you skimp on, what would you keep? Would you focus on covering every inch of some key sheet metal areas of the car, and mostly skip other areas? I am still a bit confused what portion (every inch?) of sheet metal needs be covered to get mostly optimal results. Lastly, would you still apply dynamat to the inside wall of the exterial metal of the car door as suggested above in comments? Thanks! 2. Are there any less expensive brands you recommend that aren’t worthless? Or is it better to just buy less of Dynamat than to go with other brands? 3. Will a sheet of dynapad just sitting loose in my trunk underneath my subwoofer really help significantly? Or was it supposed to go right up against the dynamat extreme? Hi Greg – thanks for the comment! To answer your questions, I usually recommend key areas to be the full doors and full trunk area using the Dynamat Extreme Bulk Pack and covering as much sheet metal surface areas as possible including the exterior metal skin where accessible (like in the doors doing the outer wall). Where to splurge I would say if you have a loud exhaust and want to cut down on that get the mega bulk pack and do the full floor as well and put the dynapad on top of that (that’s really how it’s meant to be applied, then interior carpet/panels go back on top of that). If on the other hand you experience a lot of wind noise, put the extra money towards the dynaliner. We’ve found it works well to apply that to the headliner itself an use the Dynamat Extreme on the roof sheet metal. Between those two that will help to cut down on wind noise. Hope that helps you identity the key parts of your car to apply it to. Thanks for producing such an informative website! On the Dynamat door installation, do you place any matting behind the speaker? In other words, on the inward-facing side of the outer metal layer of the door. I’ve seen a few videos on YouTube of folks making almost an enclosure of sorts formed from Dynamat behind the speaker. I don’t doubt the value of this stuff, I’m just confused as to how much is too much and where effort is best focused. Hey Paul – thank you for your feedback, I’m glad I can help! For Dynamat on the inside wall – basically wherever you can reach, I would use it. I would not make an enclosure for the speaker out of dynamat though. I’ve seen some cars in our shop where other people have done that and it’s a bad idea. The door speakers need some room to breath. I would definitely dynamat behind the speaker on the inside wall and wherever you can reach on that inside wall. I wouldn’t seal the speaker in though, the door frame acts like a nice enclosure and you don’t want to seal the speaker into a tiny Dynamat enclosure. Do you reinstall the moisture barrier or does the dynomat serve that purpose as well? It looks like you purposely kept the dynomat inside the black adhesive for the barrier. Yes, we do re-install the moisture barrier back on top of the Dynamat – good question!